The C-word has been something that remained under wraps for many years. Nobody wanted to talk about it. We went on with our days to just pretend it didn’t exist – and unfortunately, this made us unaware of the situation. But thankfully this is changing – changing a lot! We speak about it more. We fundraise more and we even see it on our TV. All of these things raising awareness. Something that still remains, however, is the whole “It won’t happen to me” mentality. I understand this – I was one of them many years ago. But, sadly it did happen to me. Maybe 10 years ago, I wouldn’t have talked about it. We lived in a different time then when it wasn’t something we mentioned a lot. But, now I feel comfortable in telling you that I am a survivor of breast cancer – in fact, this month is now 3 years cancer-free. It’s a beautiful time! During Breast Cancer Awareness Month, the main aim is to get as many people as possible involved in raising awareness and funds for breast cancer research. So, in this article I’m going to mention things you can do for yourself and others. Mammograms are a huge resource for detecting cancer in our breasts. Yes, many of us hate the thought of having one. But, these checks can literally be the difference between life and death. Mammograms let the doctor or nurse look for lumps inside your breasts that can’t be felt. The beauty of the NHS is that when you reach 50, you’re offered a mammogram every 2-3 years. This is something you SHOULD take. If you’re younger and feel like you would like one, however, please speak with your local GP. I’m sure they will be happy to help. Another way to check is with your own two hands. The best way to do this is in the shower or bath. Place your left hand on your hip and reach with your right hand to feel in the left armpit. Repeat on the other side. Check both sides for lumps or thickenings above and below your collarbone. With hands soapy, raise one arm behind your head to spread out the breast tissue. Something we can all do is talk about it more. 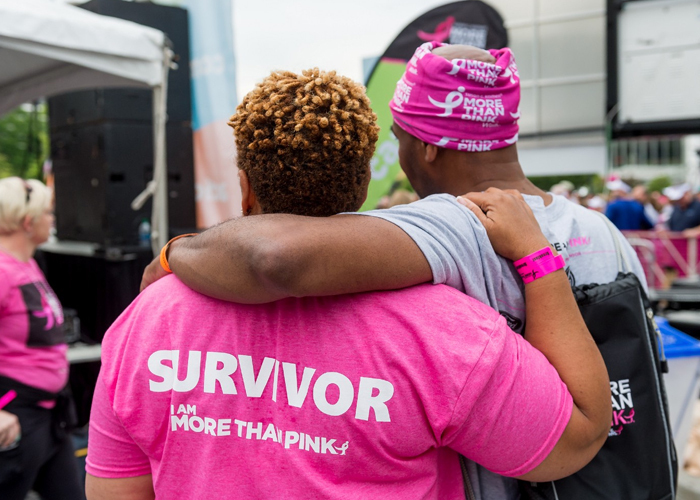 We no longer need to feel embarrassed or out of place when mentioning breast cancer. It happens – so let’s talk. Speak with family members and friends and ask them if they also self-check. If they say no, encourage them. The amazing part about this is you could actually change somebody’s life! Yes, I’ve been in the battle. I’ve also survived the battle – 3 years! So, let’s do everything we can to ensure we have more survivors. Talk talk talk! And don’t forget – check yourself tonight in the bath!